It means “January” in English. 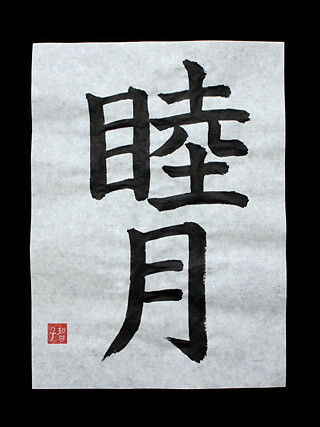 “Mutsu” of the first character means “Harmonious”, and “Tsuki” of the second character means “Month”. As for the origin of “Mutsuki“, “Relatives gather and hold the party harmoniously” is leading.